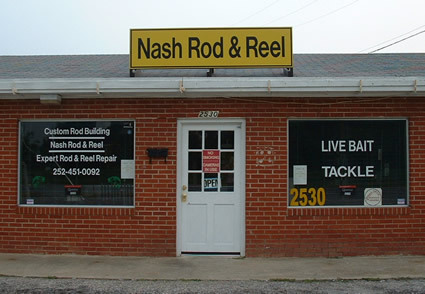 Welcome to Nash Rod and Reel! We are a full service bait and tackle shop, and we also make the finest custom fishing rods in the Rocky Mount area. We carry a full line of fishing equipment, including reels, nets, coolers, and anything else you need for a great day of fishing. Our custom rods are made with the finest equipment available today. We use the best blanks and the finest reels around. Here are some of the manufacturers we work with. Copyright © 2008 Nash Rod and Reel.